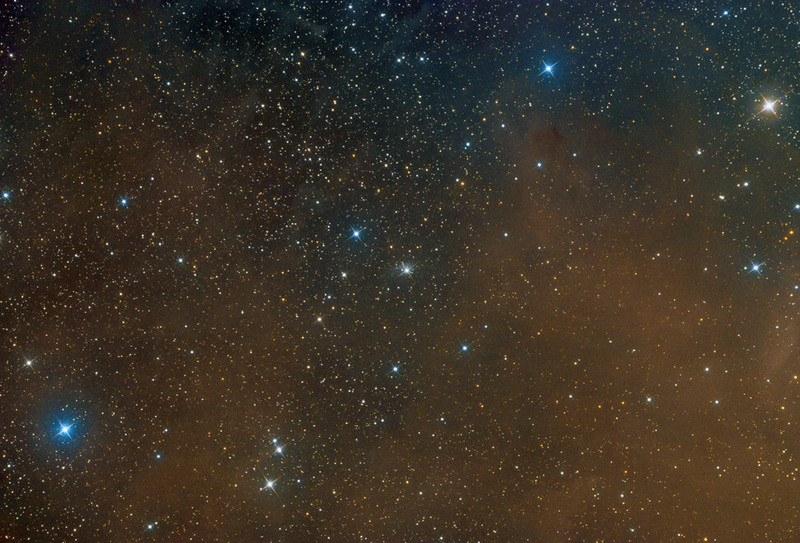 VdB 61 (in the center of the image above) is a reflection nebula visible in the constellation Orion. Its location is identified about 2.5 ° to the SSW from brilliant Betelgeuse. It is very tenuous gas filament visible to the northwest from the star responsible for its enlightenment. This star, cataloged as HD 39398, is a yellow giant of spectral class G6II-III, which gives the cloud a greenish-white color. Its distance, determined by measuring its parallax of 3.87 ± 0.96 mas corresponds to about 258 parsecs (842 light-years). Location: IRIDA Observatory, BG, longitude: E 24 44' 18", latitude: N 41 41' 42"